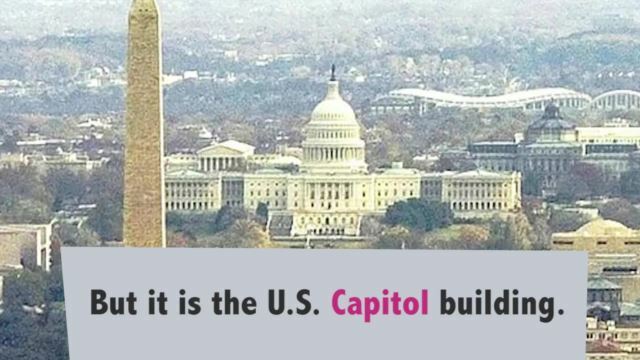 VOA Special English - What Is the US Capitol Building? Whitman described the building as calm and confident. And he said the Capitol's dome made it easily recognized and seen throughout the Washington area. Whitman called the dome "a vast eggshell, built of iron and glass." He also likened it to a bubble, a tiara, and a "towering bulge of pure white." Today, the Capitol building is still a well-known symbol of the U.S. government. Although some people confuse it with the White House, where the president lives, it is the home of the U.S. Congress. In other words, the Capitol is the place where the country's lawmakers meet to discuss, make and approve legislation. The House of Representatives meets in the building's south wing. The Senate meets in its north wing.